I covet the gift of hospitality. The ability to tangibly meet natural needs for food, clothing, and shelter in such a way that the person or persons being served feel honored and valued. And to do it without looking like you're trying, that's really a gift! Hospitality has never been a strength for me. I'm too introverted, too self-conscious, and maybe just plain too selfish to be good at it. If I have overnight guests, I don't sleep. If people come over for supper, I freak out before they arrive and collapse in exhaustion when they leave. So when I read about First Lady Dolley Madison, I'm especially awed by the way she took a "woman's gift," one that's often overlooked or ignored, and used it to make a mark on history. Born to settlers John and Mary Payne in North Carolina on May 20, 1768, Dolley Payne grew up under the strict discipline of the Society of Friends, also known as the Quakers. As was the norm for women in that era, she received no formal education. In 1790 she married John Todd, Jr., a Philadelphia lawyer and fellow Quaker. By this time in the nation's history, Philadelphia was operating as the nation's capitol, and Dolley became involved in various social functions. It's as though she found her niche, her place, in the process of entertaining. After the untimely death of her husband and one young son to yellow fever in 1893, she continued to participate in the social functions of Philadelphia. At one of these events, family friend and New York senator Aaron Burr introduced Dolley to the man credited as "the architect of the Constitution," Representative James Madison of Virginia. Madison was 43, Dolley was 26. The couple were soon engaged, and exchanged vows in 1794. Because Madison was an Episcopalian, Dolley was ostracized from the church of her childhood for marrying outside her denomination. She became an Episcopalian like her husband, and laid aside the somber clothing and customs of her upbringing. When Thomas Jefferson was elected president, he asked Madison to become his Secretary of State. While in Washington, Dolley found a need and filled it. The bachelor president needed a woman to organize and orchestrate the social functions required of a national leader. He asked Dolley to serve as hostess, and she fell quite naturally into the role. It's said that her charm, grace, and extraordinary ability to remember names and faces were responsible for quelling the tensions often present in political meetings. Her extroverted personality brought life and cheer to the bachelor administration. Her gift didn't go unnoticed, and by the end of her first eight years in Washington, Dolley had claimed the place of social queen of the nation's capitol. When her husband was elected to the presidency in 1808, her actions as First Lady set a precedent other First Ladies have sought to follow ever since. Her widespread popularity as a hostess was held at least partly responsible for Madison's re-election to a second term in office. Her dinner parties were lavish affairs and an invitation to one of her parties, or her Wednesday night receptions, were highly desired among diplomats, politicians, and citizens. The White House, under Dolley's hand, was an open house, made gracious and welcoming by Dolley's gracious personality and generosity. In 1814, when British soldiers marched on Washington and the First Family was forced to evacuate the White House, Dolley rescued a priceless portrait of George Washington, some state papers, and the red curtains she'd helped make before she fled. The Brits burned the White House that night, and everything in it except the treasures Dolley escaped with. She continued to entertain into the last days of her life, even after Madison's death (they were married 42 years). When her son from her first marriage mismanaged the family property, she was forced to sell everything. She simply moved back to Washington and continued to be a vibrant part of the social whirl up until her death in 1849. Nothing, it seems, could quench Dolley's zest for living and love of people. She had numerous opportunities to become disappointed, discouraged, and bitter. But she maintained her joie de vivre. How? I believe it's because she continually gave herself to her gift - hospitality - and by letting that God-given gift pour through her, she kept herself full of life and joy even in the midst of difficult times. I've gotten better about the practice of hospitality over the years, but it will probably never come "naturally" to me. 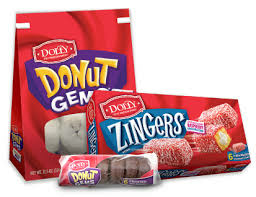 I'm a bit more "Dolly Madison" (open a box of Zingers and hide behind it during the party) than I am Dolley Madison, hostess extraordinaire. But I have other gifts, and when I yield to them and let them flow, not for my benefit but for others, I step over into a place of peace and joy that's above and beyond what I could ask or think. My gifts - my passions - are a fountain of the life of God in my soul. Have you found yours? Your opening made me think of a scripture. We can admire Dolly, but we can't all be her. God gave her a gift, and different gifts to each of us. In fact, this whole chapter is one of my favorites. I want you to think about how all this makes you more significant, not less. A body isn't just a single part blown up into something huge. It's all the different-but-similar parts arranged and functioning together. If Foot said, "I'm not elegant like Hand, embellished with rings; I guess I don't belong to this body," would that make it so? If Ear said, "I'm not beautiful like Eye, limpid and expressive; I don't deserve a place on the head," would you want to remove it from the body? If the body was all eye, how could it hear? If all ear, how could it smell? As it is, we see that God has carefully placed each part of the body right where he wanted it. You and I are so alike, Niki. But I'm glad, like Dina said, that the Lord gifted others with hospitality and we can all just be who we are with our own gifts and talents. And Dolley Madison has always fascinated me, too. Such a gracious lady. I love this Niki because so often we think of gifts as those spiritual gifts listed in scripture, like prophecy and so on, but God is so much more creative than that and He isn't limited in the things that He can and does pour into our lives. Great job and Thanks for stepping up and filling in the gap Niki! Thanks to my Southern momma, who spoon-fed hospitality, I developed the bent to host missionaries, parties, students. Old Ann (MOM) was a party Dolley. Thanks for sharing about a much more famous purveyor of grace and manners! What a fun and interesting post, Niki! What an intriguing woman she was. I struggle sometimes with hospitality, as my house is not the stuff showrooms. I actually got to experience something like an HGTV show, where someone came in and used my stuff to fix up my house. She tsked my lamp choices, among other things. Sigh. But to me, hospitality is something we do to honor the Lord, not to show off our stuff (thank God! I'd fail that contest!). Even if it's not our spiritual gift (and some people sure do have that gift!) 1 Pet 4:9 (KJV) says to "show hospitality one to another without grudging." I end up doing a bit of grudging, personally. My dirty sinks! The action figures everywhere! But on the other hand, I am always happy when someone invites me over to their house, and I don't care what their lamps look like. I think the biggest thing is that we open our homes and hearts to others. Thanks Dina for the reminder that we all have 'different' gifts. God can use the introvert somewhere, surely! And I think Patti just invited us over to her house. Hospitality is a gift...and a talent. Loved learning more about Dolley (w/ an 'e'). I love to get together with about 1 to 5 close friends. And I do fine in gatherings of writers. I used to be very good about having big dinner parties and even overnight guests. I think I burnt myself out during a season when I hosted several church gatherings and a homeschool co-op weekly. I've also noticed that I sort of have two sides to my personality. I can be more social, but then I'm less creative. Since I've been writing a lot this year, I've been fairly reclusive. Oh, it would be my delight to host y'all for a feast. I can cook Cajun, Southern, Italian, Greek, Midwestern, Mexican but will have to take y'all out for Thai, Chinese, or Indian. I also whip up lattes and smoothies and all kinds of desserts. Just give me 24 hours. Hi, Niki: Beautiful post about an elegant woman. I love to entertain but I'm like you - sleep evades me before and I fuss up until the time the doorbell rings, then I figure they get what they get and I can enjoy. I've always admired Dolley and enjoyed being reminded of her. Patti, wish we could all get together for Greek! I love all foods 'cept sushi and don't find great Greek around here! Patti, I'll take some Gumbo Ya-Ya and some Key lime pie. Thank you very much. My mouth is watering. Loved reading about Dolley. I've read her story before, and always admired her. I do not have the gift of hospitality. I'm not rude, I'm always friendly, but I don't have that "art" of hostessing. And I'm not an extrovert, so I'm not comfortable in groups or crowds. As a Canadian, I'm not that up on the earlier First Ladies. I found it fascinating that James had the smarts to give Dolley the Secretary of State job. And she was so on the ball to grab important documents and stuff when she had to flee. Thanks, Niki. I really liked the post. This may interest you. A TV program on Dolley is coming up on March 1 this year.